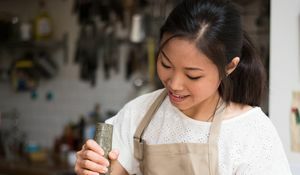 We're itching to get hold of Georgina Hayden's debut cookbook, Stirring Slowly - a cookbook that celebrates the joyful time spent in the kitchen - released in June this year. 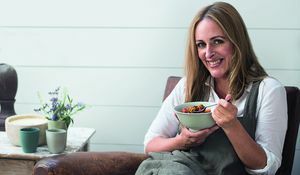 In anticipation of the release, we caught up with Georgie to find out more about her book, the process of writing and the importance of hand-me-down recipes. What’s your favourite part of creating a cookbook? As cheesy as it sounds I love the entire process. I always start with recipe writing; everything revolves around the food. I love putting pen to paper, I can totally lose myself for days thinking about flavours and textures, testing them and tweaking - developing as I go. I won’t write the whole book in one go though. I’ll take a break, which is when the photo-shoots kick in. I adore styling; finding the right props, creating a picture and setting a scene. I might think a recipe tastes delicious, but I also believe the visual is important too. 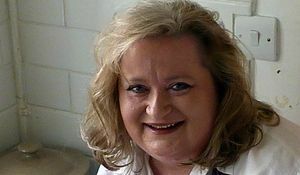 Essentially you want to sell the recipe, so that the reader gets a sense of what it is about and is drawn to making it. Showing it in the best light possible, and setting a scene if need be. Then I’ll write more; I’ll lay out all the recipes I’ve written and see how well they sit together. Is something missing? The balance of the book as a whole is important. And finally, for me, testing begins - this bit is the most nerve wracking. More than anything I want my recipes to work, and if that means testing things time and time again then so be it. Everyone’s ovens and cooking styles are different, which is hard, but more than anything I want to make sure that if someone has taken the time to follow one of my recipes, that it works. What’s one ingredient we’d always find in your fridge? There is always halloumi. My yiayia (grandma) always brings back a caseful of proper Cypriot halloumi, when she comes back from Cyprus, made in a neighbouring village. There is nothing like it, and you’ll always find a few blocks in my fridge. Its perfect for everything - grilled in sandwiches, salads, grated in pasta…. What’s your favourite recipe in your book, or a recipe that’s special to you? There are two: the first is the harissa butter chicken, as I think it is a good example of what a lot of the book is about. 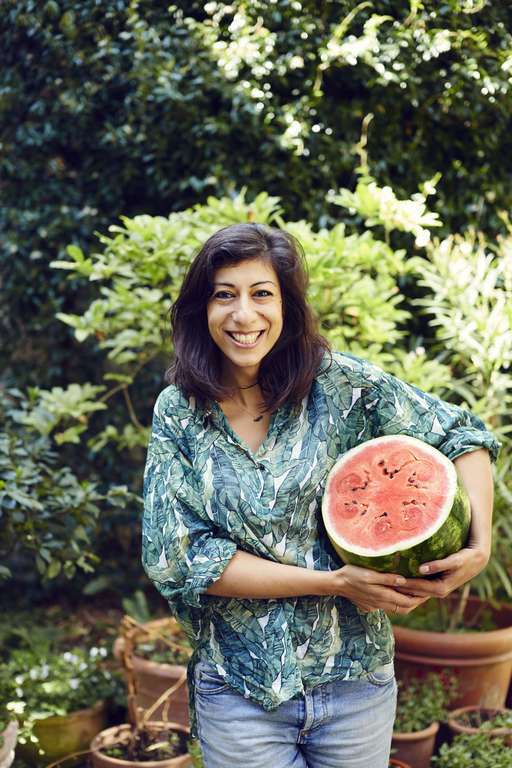 It’s easy to prepare and packed with flavour, also it seems to be a real crowd pleaser! I’m not the kind of chef or writer (or eater for that matter) that relies on chicken, however there is something wonderfully comforting about being presented with a whole roast chicken, which I think a lot of people can relate to. The gently spiced buttery juices are so moreish, and if I’m truly honest the best bit about it is the leftovers. Shredding the meat into the harissa butter and packing it in a sandwich the next day… It’s the butty of dreams. The other recipe is my homemade butter. It is such a simple recipe but it takes me straight back to my childhood, it was something we always made with my mum as a treat. Despite being incredibly easy there is a real sense of achievement with making butter and it’s impressive too. I highly recommend it. Oh loads! I think a lot of people assume if you work in food you’re a bit of a snob, but you’ll always find tins of Heinz cream of tomato soup and baked beans in my cupboard. And a pack of nobbly bobblys in the freezer. What do you want to tackle next in the kitchen? For years now I have been shadowing my yiayia in the kitchen, learning and absorbing everything she knows - she is a Cypriot cooking wizard. It’s so important to me that these recipes are passed down, and she really does make the best stuffed vine leaves in the world. This is my constant project, learning the food from the motherland - everything from pickling caper leaves to stuffed courgette flowers, fresh walnut spoon sweets to flaounes. 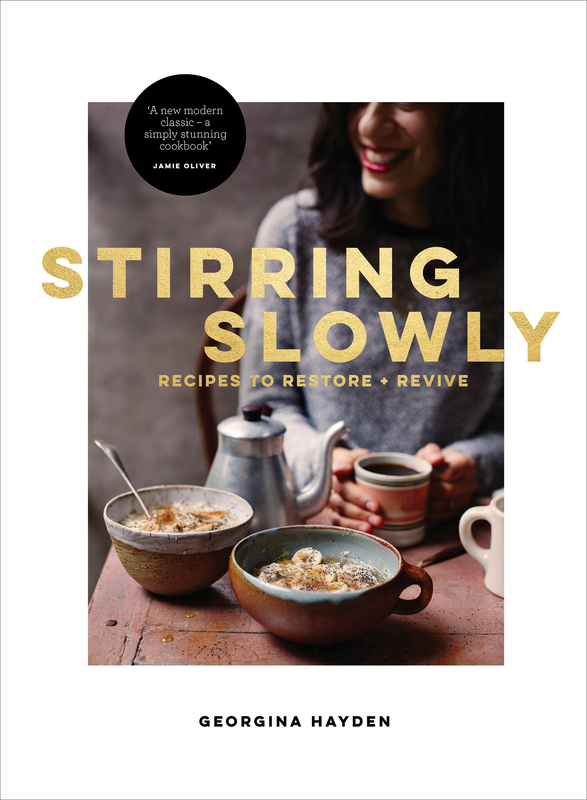 Preorder your copy of Stirring Slowly now!